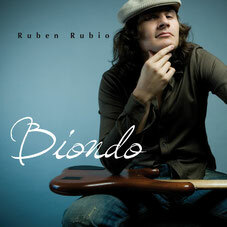 He assisted to a seminar of flamenco-jazz in the Madrid Superior Conservatory conducted by Pedro Ojestos. Attend to the Jazz Seminary gived by Javier Vercher (Sax) in Cáceres City (Spain). Recived private lessons by the up-right bass player Francis Posé (from Jorge Pardo Trio). 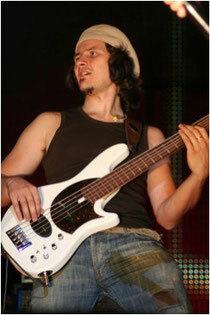 He recived private lessons from the Cuban electric and up-right bass player Yelsi Heredia, who played with Bebo Valdés or Diego “el cigala” among many others. He assisted to two editions of the Modern Music and Jazz seminar by the hand of guitarist Luis Jiménez (Superior Conservatory of Pamplona Teacher). He took part in the advanced level of the Jazz Seminar of Zarautz in 2004, reciving lessons from the world famous Carles Benavent (Paco de Lucía, Chick Corea, Miles Davis,...), Playing with him in duo in the closing ceremony concert of the seminar. After Access to the medium level degree with the highest honours he started his studies at the Professional conservatory “Berzosa Brothers” of Cáceres Town in 2001 year. He took part in the Orchestral and chamber music seminar headed by the violinist and conductor Asiste al Seminario de Orquesta y Música de Cámara impartido por el Violinista y Director Gonçal Comellas. - First Up-right bass of the Chamber Orchestra of the Proffesional Conservatory of Music of Cáceres Town, with whom played in a Germany tour and with the Big Band of the same conservatory.